You must make reservations at least 5 minutes in advance of the time at Moonshadows. Valet service is available 7 days a week. 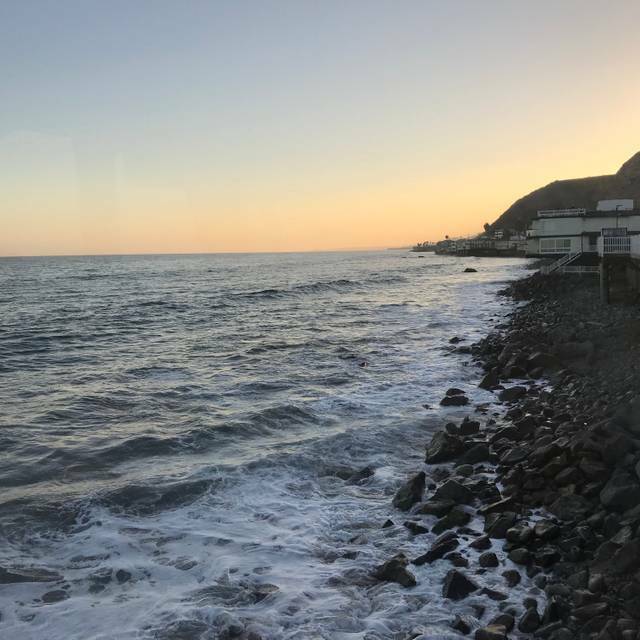 Moonshadows has set the standard for excellence in Malibu dining since the day it opened it's doors, four decades ago. 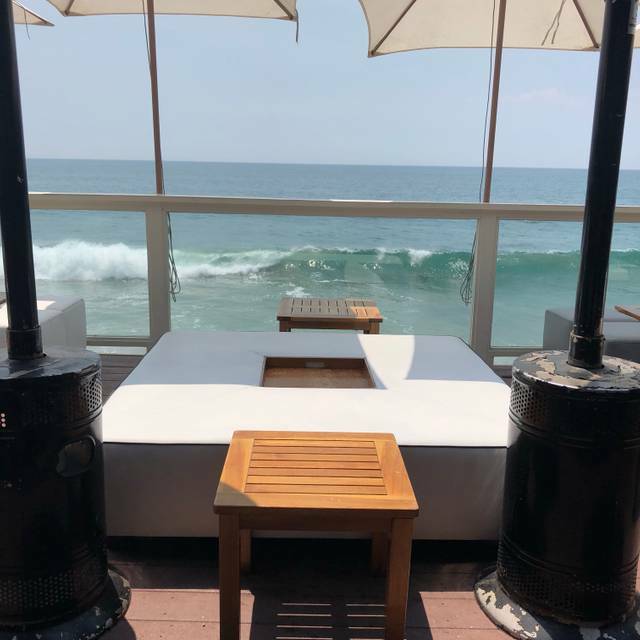 At Moonshadows guest's find themselves immersed in an elegant yet comfortable environment complete with the breathtaking view of the Pacific Ocean. Whether sitting down for a romantic dinner, or a weekend brunch, guests are treated to the best of contemporary American cuisine. The menu is complimented by a wine list that has been honored with Wine Spectator's Award Of Excellence for three years in a row. Weekends feature an international roster of DJs spinning an eclectic mix of down tempo, lounge, and house grooves. Bottle service is available on the patio, and reservations are highly recommended on the weekends. We had a great time with good food and excellent service. But the entertainment could not be beat. We did not just see dolphins but whales frolicking around right infant of the balcony. I'll be back! They were very nice and friendly but the menu was limited for Easter and the place was as half empty. My first choice for dinner was a special and they could not make the dish less spicy so I switched. I did not find my sea bass tortellini to be exceptional but it was fine. The steak my family got was laughable it was so plain. We parked in the lot clearly marked for Moonshadows and we had parked our own car, as the lot close was empty. When we went to leave, two valet guys came running over like they were frantic to help us pull out onto the extremely busy PCH but all the valet did was demand $9 for using their lot?! It was odd after we had parked and walked passed them twice, they were just sitting outside as it was not busy. We paid and tipped them but I just found it comical. All in all....this place was ok. It would be good for a very quiet dinner and just basic food. 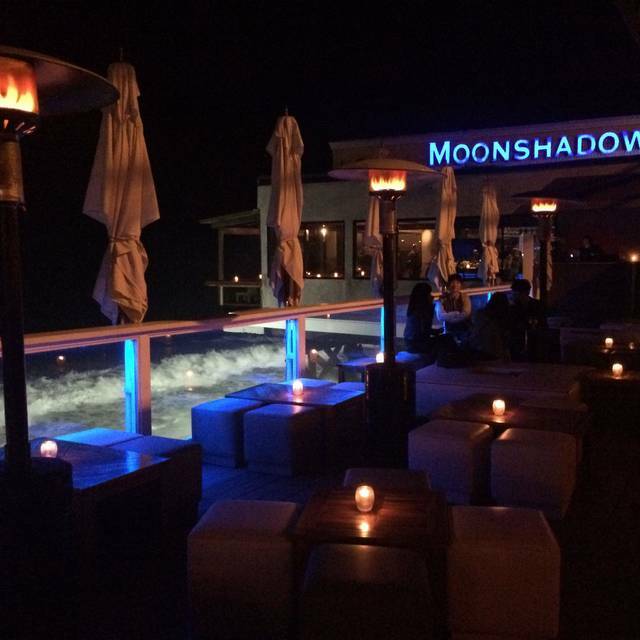 Moonshadows was the perfect place for dinner on Easter Sunday or ANY DAY for that matter. Great service, great food and the ambiance was exquisite!!! Jo Jo our server was awesome and made sure that we were taken care of from the time we sat down until the moment we left! Spectacular views. A great special-occasion spot. Excellent customer service! Please, keep up the good work! It was our first time at Moonshadows. We really liked the experience. The place has the best ocean views. Even though it was Easter Sunday, we received wonderful service... and I mean: wonderful! The food was good too. I would recommend it and am definitely going back. Great service, the servers were very attentive to every table and fulfilled every request we had. Food is pricey but that is to be expected. 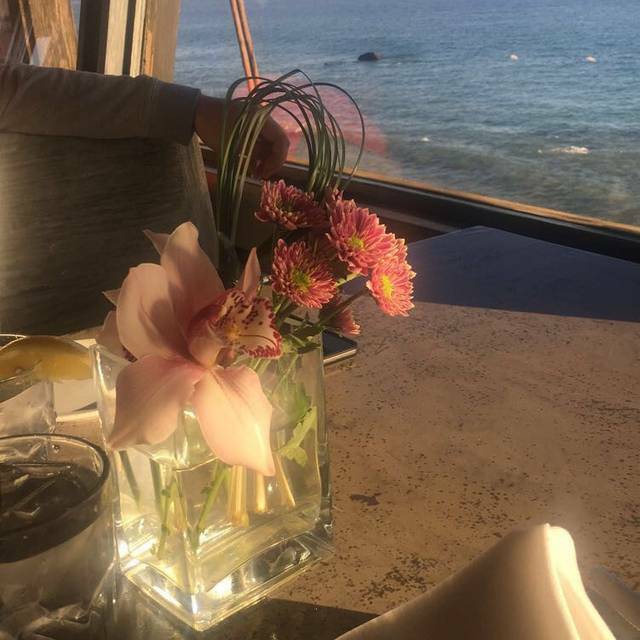 The food was good and the view was brilliant, we were seated outside as I had requested and had a beautiful view of the ocean. Great brunch, beautiful views, would definitely go back and recommend to others. 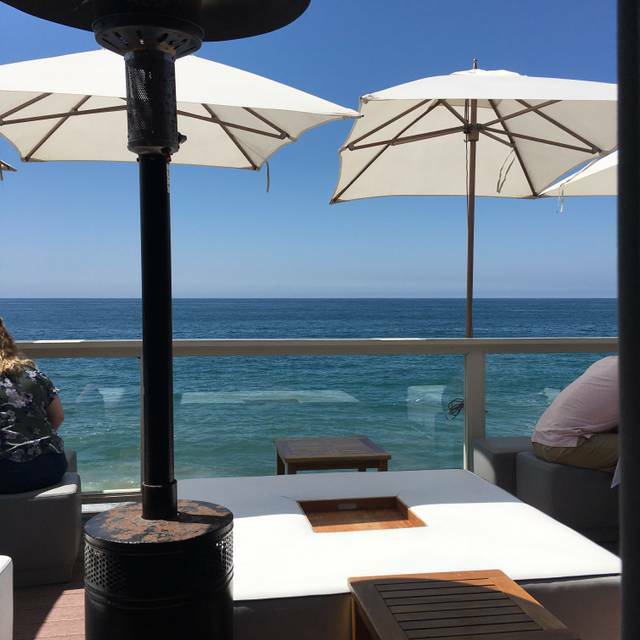 Great lunch at bar overlooking the Pacific Ocean. Food was delicious and ambiance unique. Thanks! View was amazing. Ask about specials. Had Chilean Seabass , pumpkin ravioli and was amazing. A little expensive but worth it. 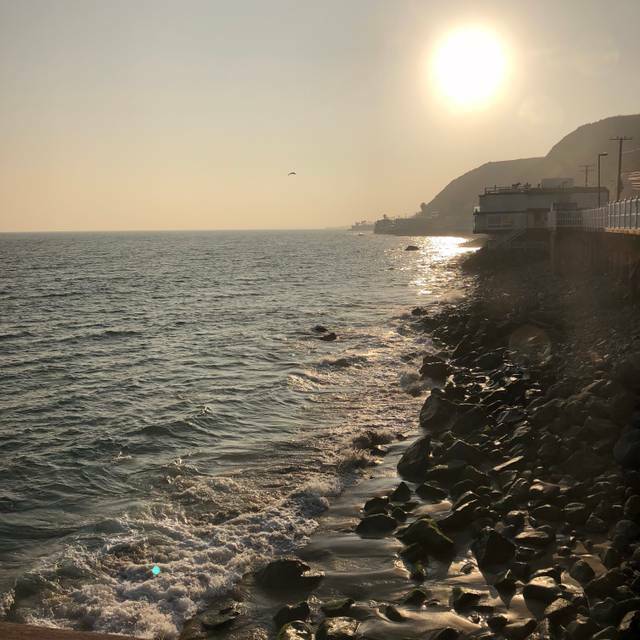 It was so beautiful to have my birthday dinner next to the ocean. The view is outstanding here. The food was delicious also!! Beware of the Black Manhattan!!! It is delicious and strong! First of I want to thank Daniel ( Dan ) for such an excellent service. This was our first time at Moon Shadows and my family and I love it. We started our dinner experience by ordering the Crudo that Dan had suggested . The Crudo was fresh, light, and the mango sauce really complement the dish. My wife ordered The lobster linguini and she absolutely enjoyed it. One of my daughter ordered the squash raviolis and she was not disappointed. My second daughter ordered The miso cod and it was perfect. Dan suggested the Chilenian sea bass with black rice over a bed of garlic spinach, and is the best I have ever had. See you Moon Shadows. As usual, food, service and ambience were all as expected, great! This is why we continue to come back time after time. Great place to bring out-of-town guests. We had forgotten that they have a DJ on weekends, but even so, we were able to converse without having to yell over the music! Another enjoyable evening. Despite the noise level being a little more than I expected during my visit, the excellent food and service most certainly made up for it. Brought my friend here when she visited from out of town! We chose window seating because there was a longer wait for outdoors -- the view was AMAZING. You cannot go wrong with it. We had wine and apps, and it was lovely overall. What a delightful surprise. First, the view of the ocean was amazing. Second, the service was exceptional. Third, the food was fantastic. I highly recommend this Malibu Classic. Everything was very well done. To top it off the valet parking was greatly appreciated because of the busy highway. Great anniversary dinner at Moonshadows. They brought out a complimentary bread pudding and wished us a happy day. The ocean is one of our favorite places to be so this was ideal. The food, the service, and the wine was excellent. Everything I ordered was overcooked. I've never been so disappointed. Octopus was so tough you literally couldn't chew it and had to spit it out. Calamari tasted like chewy rubber bands. I had the roasted lobster which was $65 and it was VERY over cooked, served on top spinich and very plain mashed potatoes. The view was my only saving grace, it's spectacular! Arrived a couple hours before our reservation and asked to be seated outside. Then was being seated inside and was told we would have to wait another hour if we wanted to sit outside. I’ve been going there for years and this was the first bad experience with front desk. 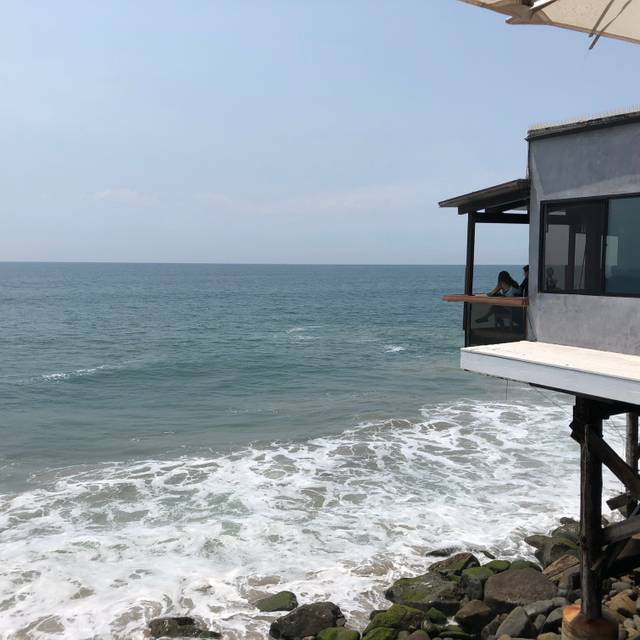 Beautiful restaurant with wonderful patio overlooking the ocean. Best view and atmosphere! Good food, excellent service, cool people, best way to spend a Sunday! We were seated early and at an awesome table by the window. The server was great! It was a nice birthday brunch with friends. I ate at moon shadows in 1980. Its nothing more than a beach shack now and the Tiger shrimp were smaller than i have ever seem and my stomach hurt all night. I would rather beg for food then eat there again!! Excellent views, very good service. Drinks are ok, food is ok and pricy. Very nice view. Delicious food we ordered the surf and turf, and good service. The view and environment was very nice and beautiful. However, the food lacked and was not worth its price. This place NEVER disappoints! Excellent service; excellent food; excellent location! Food is excellent, and you can't beat the atmosphere being right on the water. My only critique would be that the bussers who clean the tables are not gentle about it. They were very loud and almost obnoxious about the manner in which they cleaned the table. Food was outstanding and service was great. I loved the beautiful view. We celebrated my son’s acceptance to Pepperdine! 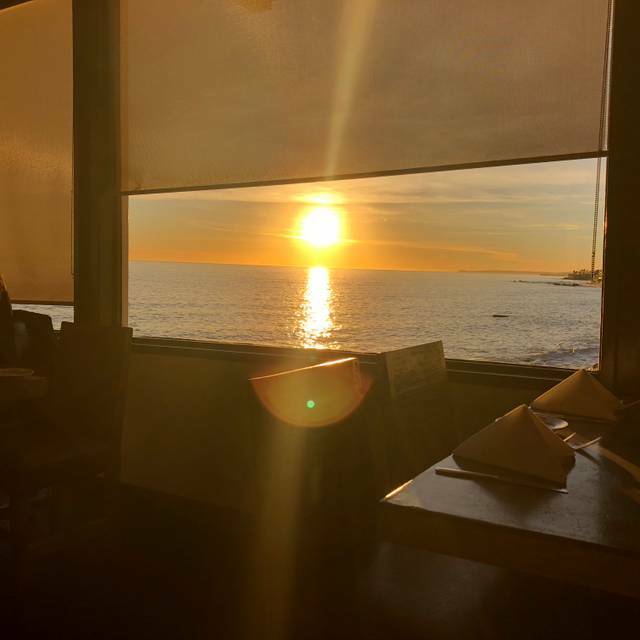 Great staff, great food, great views and awesome ocean waves. 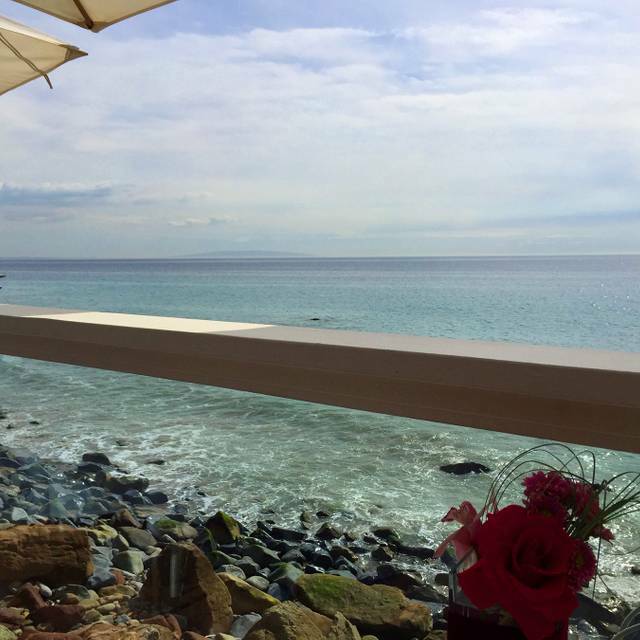 Our favorite place to relax and dine on the ocean. Beautiful setting.!! Lot's of great spots with amazing views of the ocean. Lovely staff they were very attentive but not over bearing. Food was good.